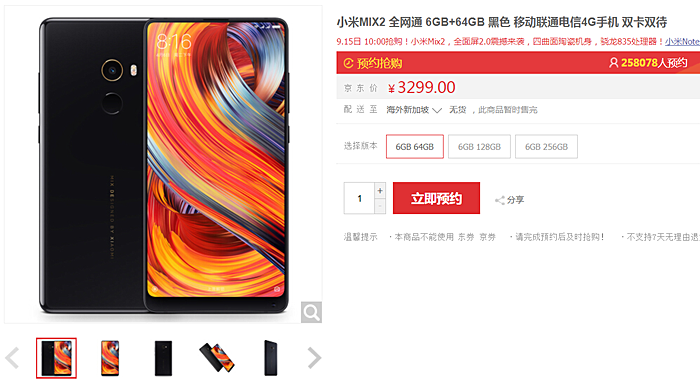 The Xiaomi Mi Mix 2, which was officially unveiled yesterday, has already crossed over 250K registrations. While that's certainly good news, it isn't exactly surprising given the level of interest surrounding the company's Mix series. Keep in mind these are registrations we're talking about, and not pre-orders - no money has changed hands yet. The device will go on sale September 15, and as is usually the case it'd be a flash sale. The 8GB RAM variant will not be part of the first sale. In case you missed it, the company has also confirmed the handset will be made available in India very soon. Speaking of irony... Also, when was I gullible to marketing?